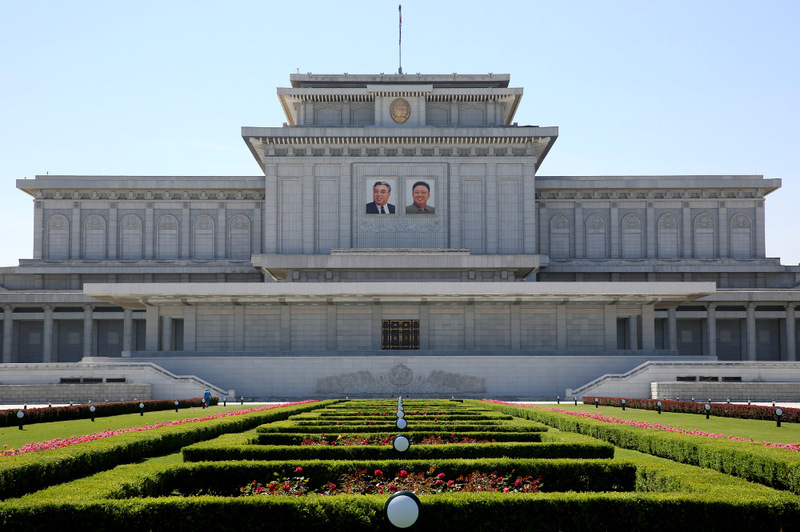 Join our 2019 North Korea Victory Day Tour II and celebrate the Anniversary of the signing of the Korean War Armistice in Pyongyang. In addition to exploring the east coast we will also head to Mt. Myohyang for this trip. 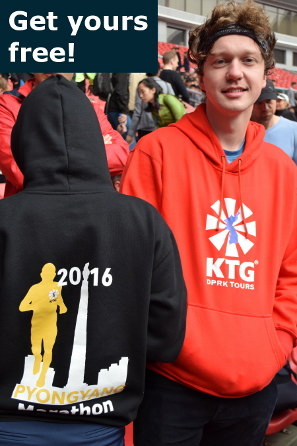 Check our previous Victory Day East Coast Tour report! 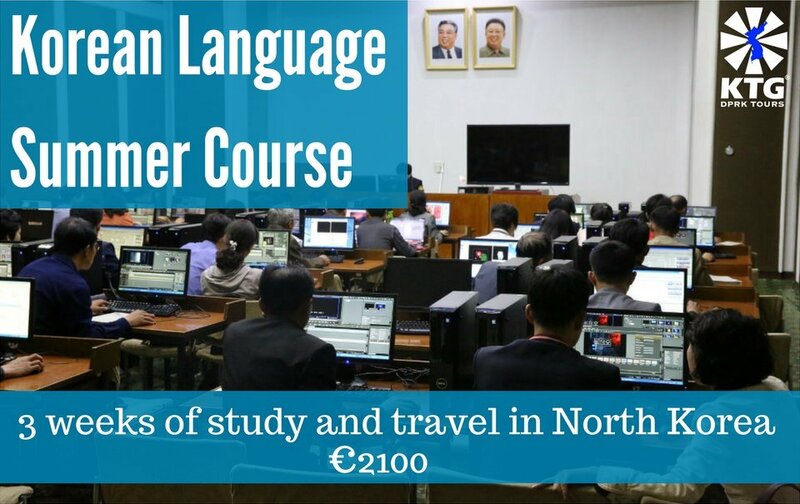 The application deadline for this tour is 25 June 2019. 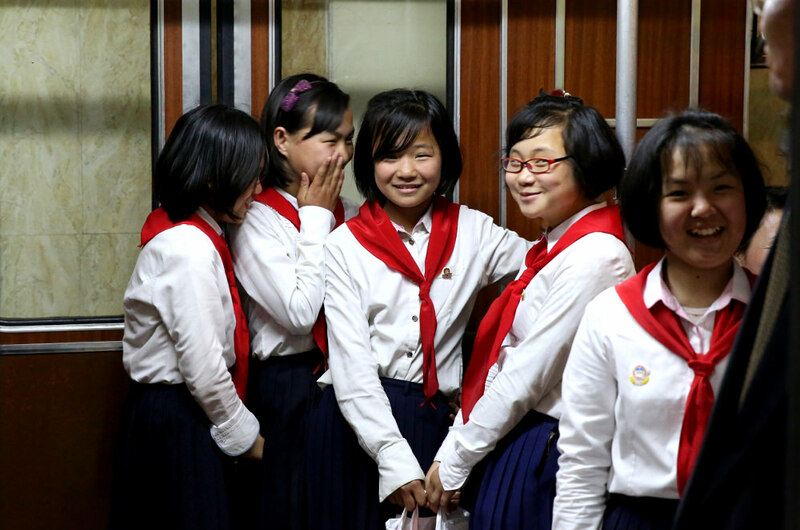 This tour includes 7 nights in the DPRK plus one on the train back to China. 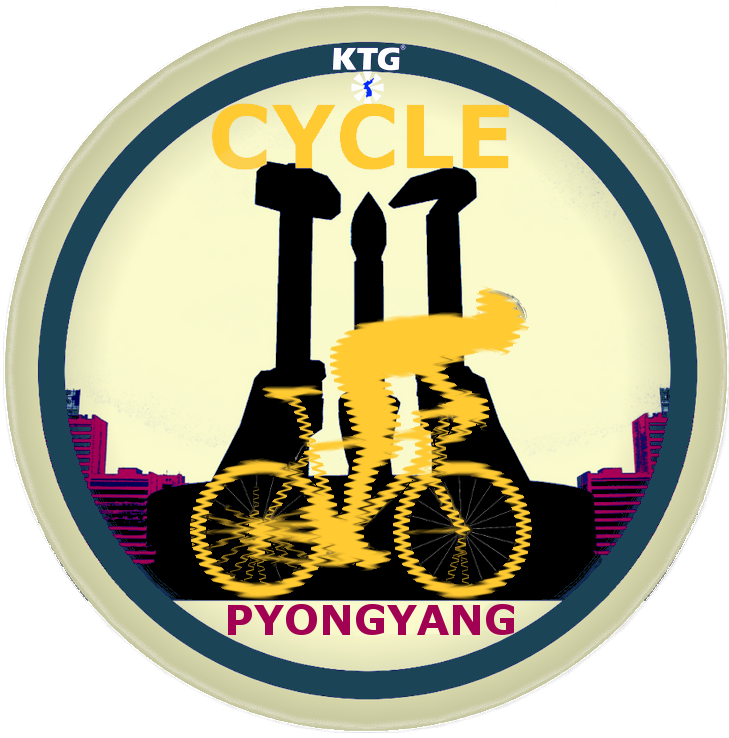 The itinerary is an extremely complete one, covering Pyongyang, several parts of the south of the DPRK and the eastern part of the country. 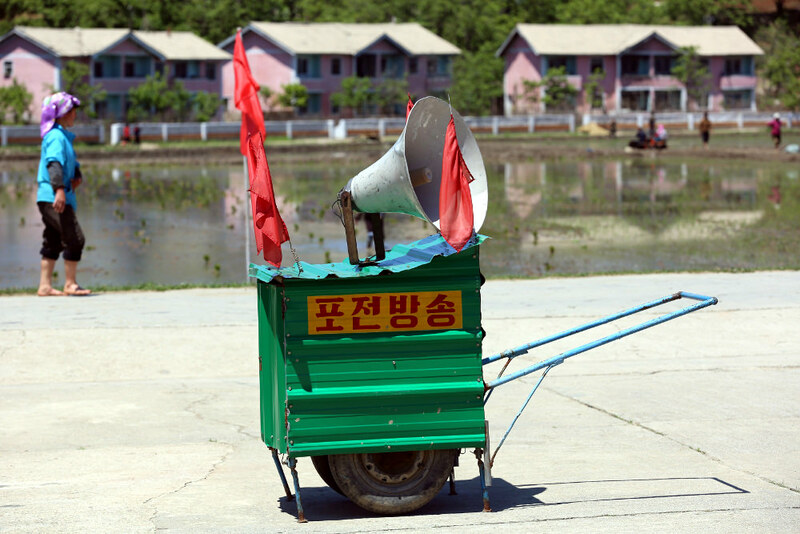 If interested in shorter DPRK tours please check our other tour departures. You can also join this tour and leave early if you wish. If interested in having a private extension of your tour once the group departure is over please send us an e-mail stating how long you would like to extend for and if there are any specific places you would like to visit. 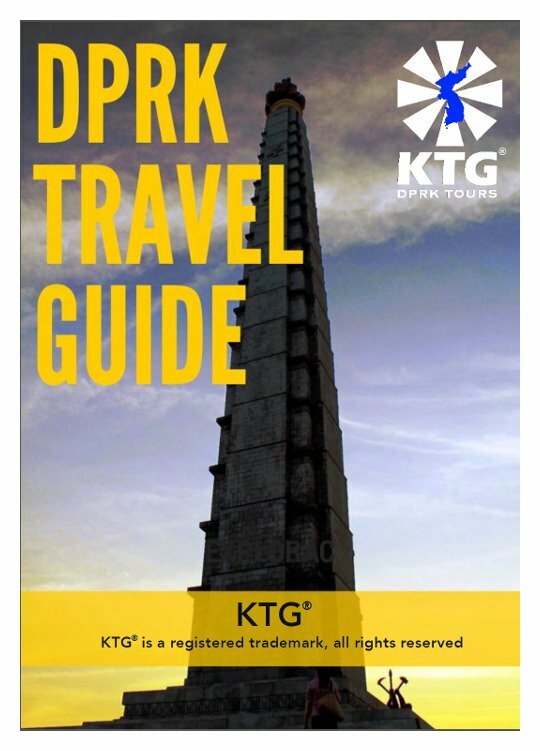 It is possible to enter by train and something we strongly recommend as it allows to experience much more of the DPRK. Please let us know if this option may interest you. 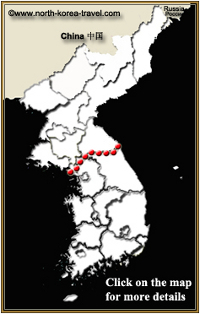 Drive to the coastal city of Wonsan (East Coast) - unique chance to be driven through second tier cities and counties as you literally cruise across the DPRK, from one side of the country to the other. The ride is around 4.5 hours long and a fascinating experience. We will have a 30 minute break on the way at a local guest house with relaxing views. Sinpyong Guesthouse - 30 minute break by a lake. Chance to try some snake liquor! 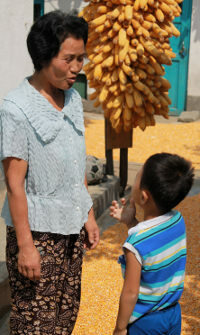 Walk around Wonsan City (Central Square and along the pier) - you can see locals going on with their daily lives here. The square tends to be very lively with children roller skating, families walking together and then by the port there are always people fishing. 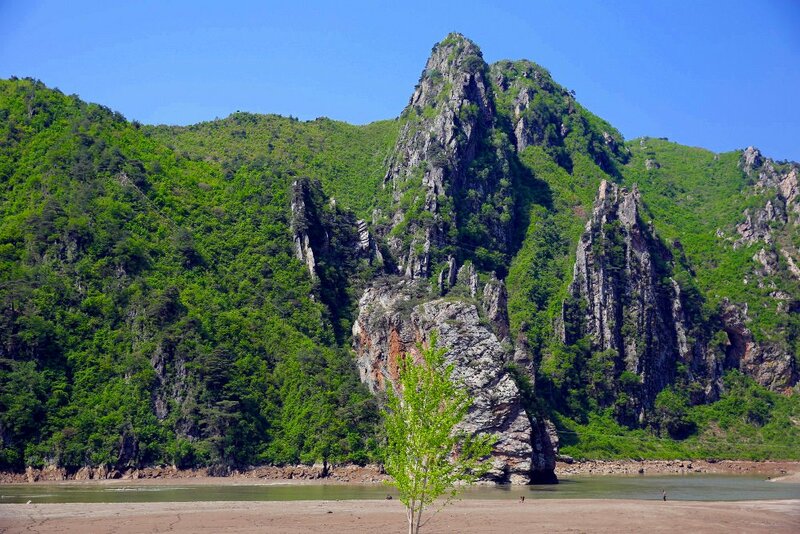 Drive to Hamhung City - discover the second largest city in the DPRK. This industrial city only started receiving Western tourists in 2010 and is therefore considered even more "off the beaten track" of a destination. Mt. 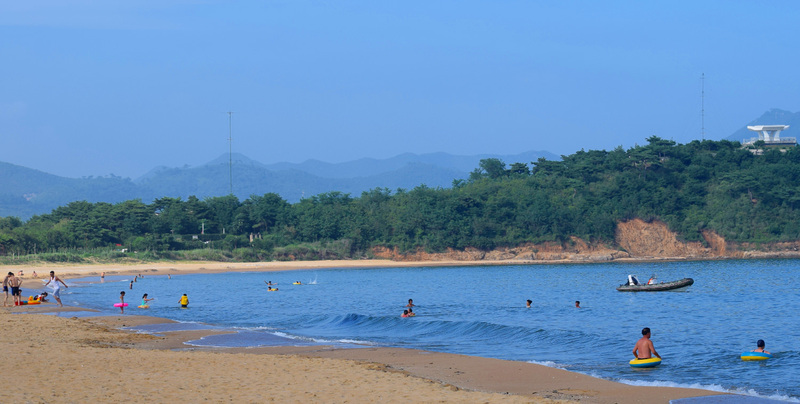 Donghung - with an impressive view of Hamhung City and the whole surrounding area, a giant bronze statue of President Kim Il Sung is here and it is a popular place for newly-weds to go and pay tribute. Lunch: City Restaurant, Hamhung. 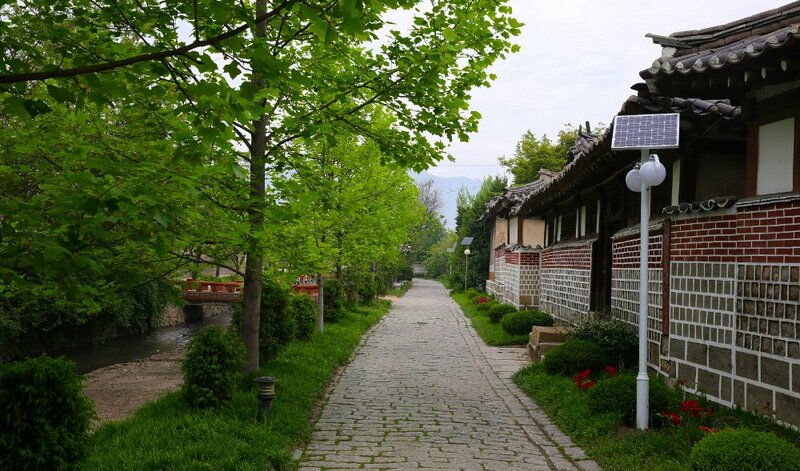 Hamhung is well known for its potato starch noodles. 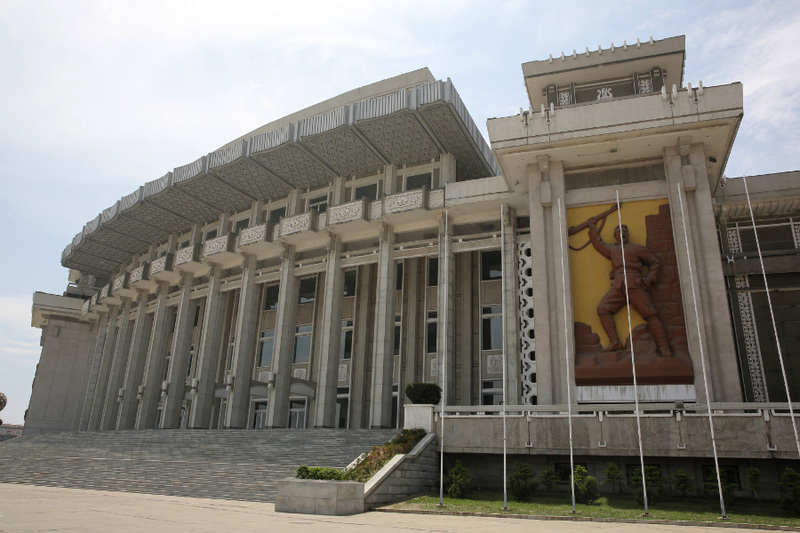 Hamhung Grand Theatre - enormous theatre located in the city centre right across from the main square. 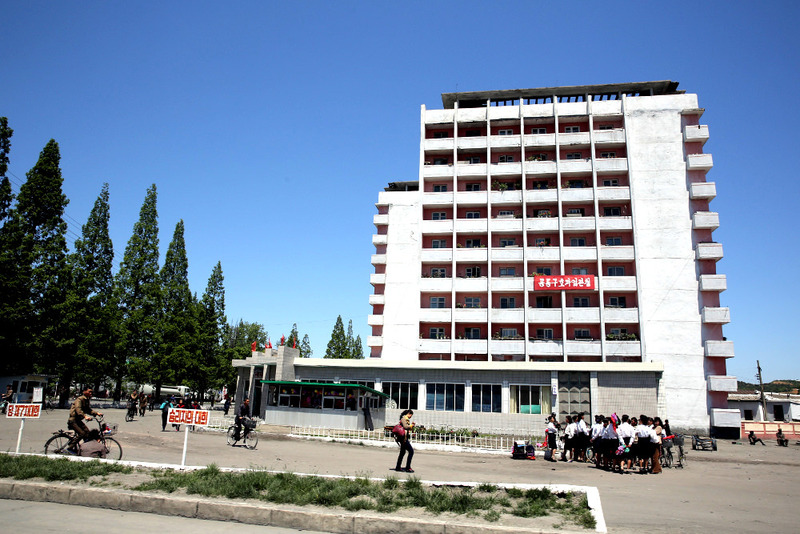 Please bear in mind that in spite of being the second biggest city in North Korea with an estimated population of 800,000, Hamhung has only been opened up to tourism very recently and the site of foreigners here is extremely rare for locals (more so than in other areas in the DPRK) which will explain the surprise on many people's faces when seeing you. 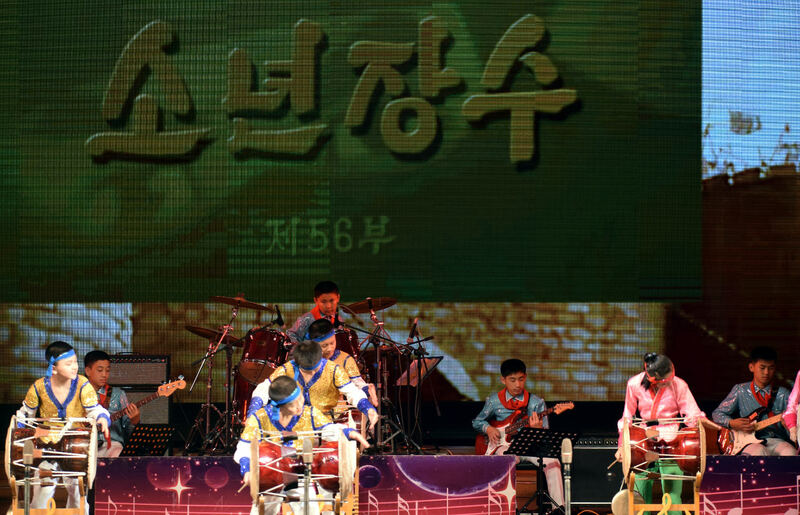 The image on the right shows a Children's rally in Hamhung. 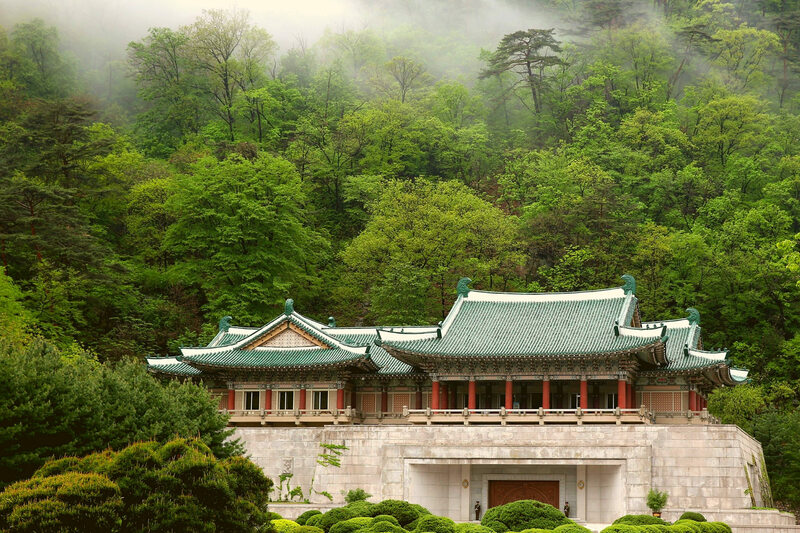 Home of Ri Song-gye - Founder of the Choson Dynasty, he overthrew the Koryo dynasty. 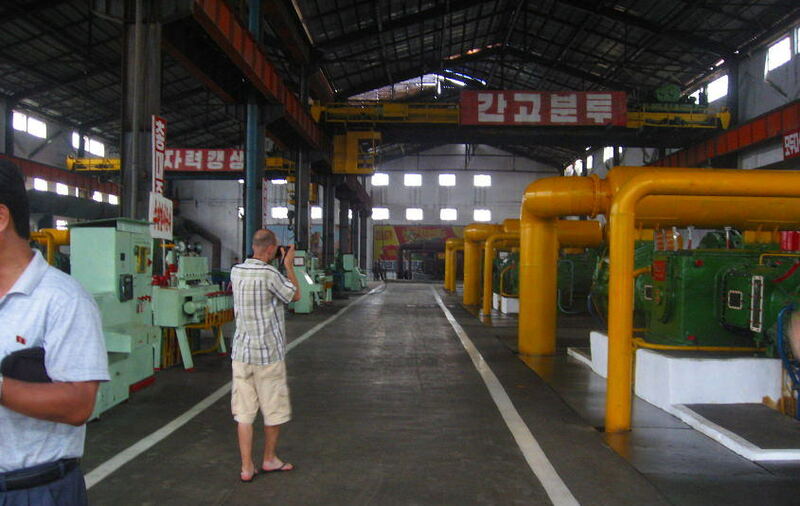 His home is located in Hungnam disctrict which is home to many factories. Check-in Majon Cottage - a series of cottages located by the beach. Enjoy a relaxing stroll by the seaside before dinner. There are usually locals here happy to have us join in. 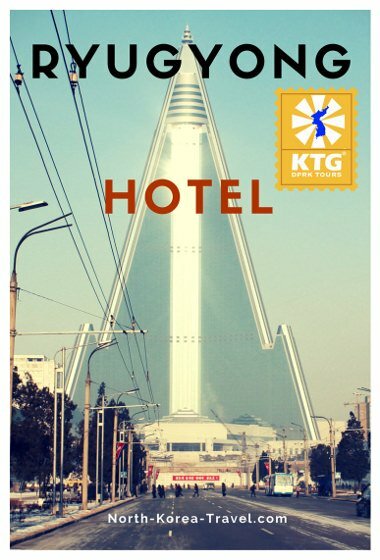 Juche Tower - chance to go up 150 meters and have a panoramic view of Pyongyang. The flame itself adds another 20 metres to the height of the structure! Kaeson Evening Funfair - you can take rides with locals, but even if you'd rather not, this is a great opportunity to join Koreans during their celebrations. Expect to see many pleasantly surprised faces! Rides cost from 1 to 5 Euros. Kumsusan Memorial Palace - where the leaders Kim Il Sung and Kim Jong Il layKoreans at the Kumsusan Memorial Palace in state. The most sacred place in the DPRK. You are kindly asked to dress in proper attire. You will be sent more detailed information regarding this but please feel free to contact us for more details. This is a highlight of all of our DPRK tours. Revolutionary Martyrs' Cemetery - bronze busts of national heroes. The cemetery is located on atop a hill in the outskirts of Pyongyang, offering great views of the capital of North Korea. USS Pueblo - US spy ship, the only US vessel in possession of a foreign country. 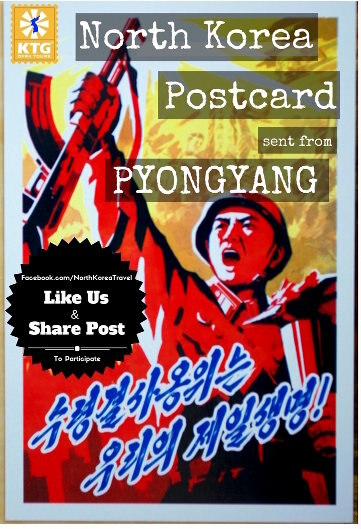 It is shown in the DPRK to Koreans and foreigners as a trophy. 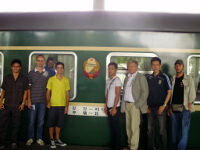 Ride on Pyongyang Metro (extended ride) - chance to take the deepest metro in the world. 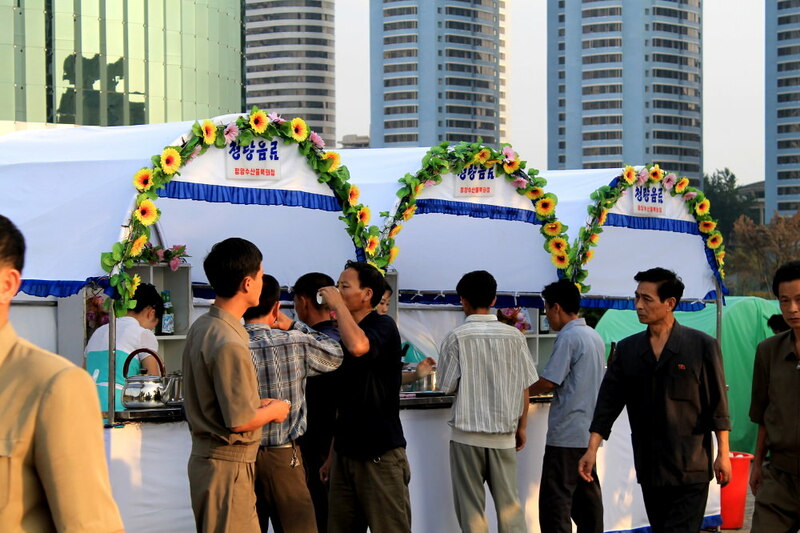 You will experience the busiest aspect of Pyongyang with local Pyongyangers. Coach to Kaesong (Panmunjom, the DMZ) - we leave early due south. There will be a break on the way as the ride is approximately 3 hours long. 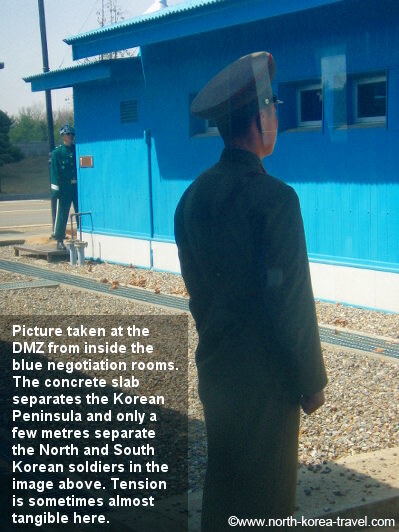 We will have a break in the middle and will be able to take pictures of the Reunification Highway. 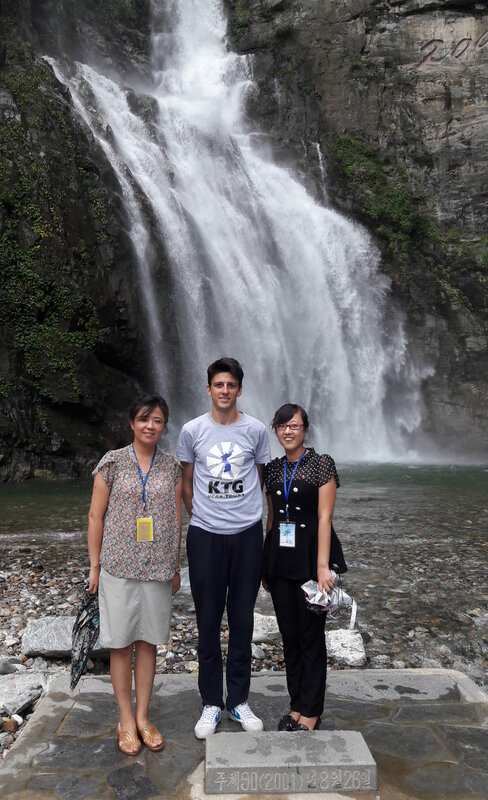 On our way here our Korean guides who we have worked with for many years now and are the top level guides from the Korean tourism authorities will explain to us the principles by which the DPRK seeks to obtain reunification of the Korean Peninsula. As we approach Kaesong we will be able to see the famous Kaesong Industrial Park Complex at a distance as well as the train station which's railway connects North and South Korea but which is not in use. 38th Parallel (DMZ) - chance to enter the famous blue negotiation rooms where talks between North & South Korea have taken place. 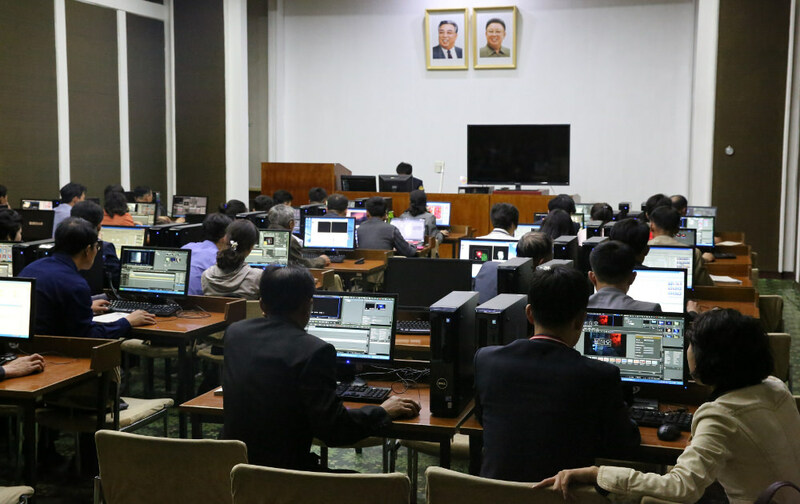 This is with no doubt a highlight of all DPRK tours. A DPRK soldier will guide us here and we will be able to see the world famous 38th Parallel that divides the Korean Peninsula to this day. Lunch at Tongil Restaurant (Kaesong) - we will all be served with small covered dishes, each one being a surprise! 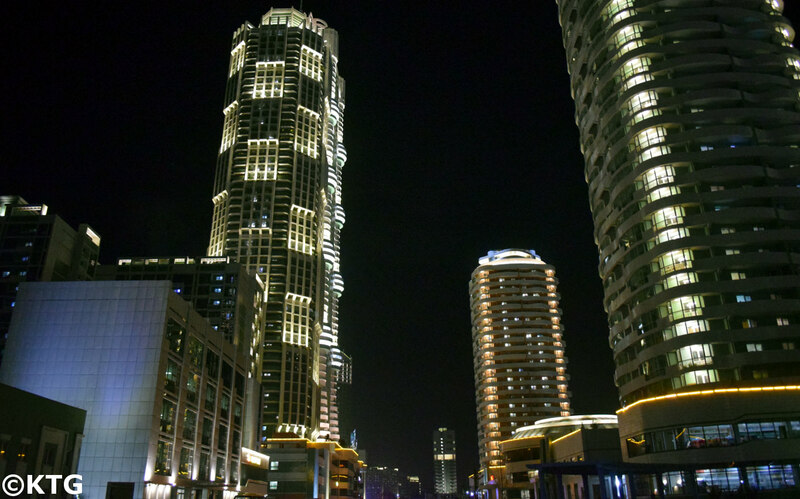 Drive to Sariwon City Centre - this is a very lively city. We will walk around Food Street and see some model local pavilions in Folk Street. There are usually street games held in this area and we will be more than welcomed to join in! Have break at a Sul Jib - meaning wine house or alcohol house, we will be able to have a drink of local Makoli (a Korean drink with low levels of alcohol) at a local joint. International Friendship Exhibition Centre - two buildings where thousands of gifts presented to the leaders of the country are kept. They are actually built into the mountain and are windowless despite their aspect from the outside. We frisked as we enter after having passed the armed guards who protect these national treasures. Pohyon Temple - built in 1042, this was a buddhist learning centre in the region and is still home to several monks. 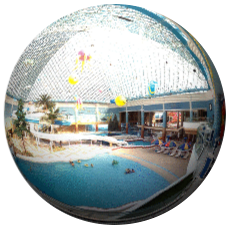 Children's Palace - this is where the most talented kids in Pyongyang go after school. Their performances are truly impressive.